With 5 different versions, this pattern is awesome value! 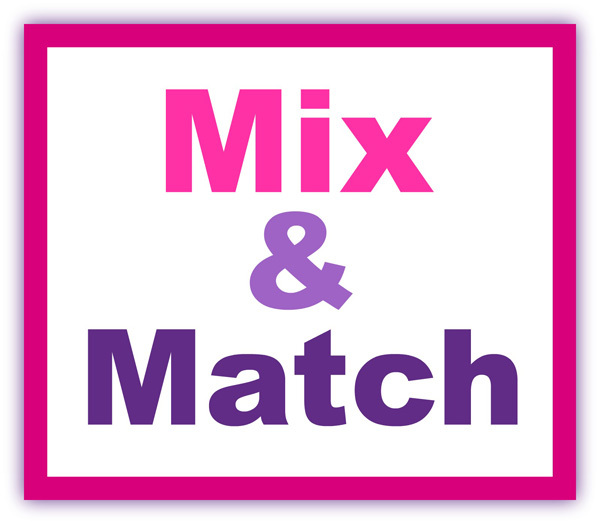 Mix and match the various elements to create a dress for any occasion. 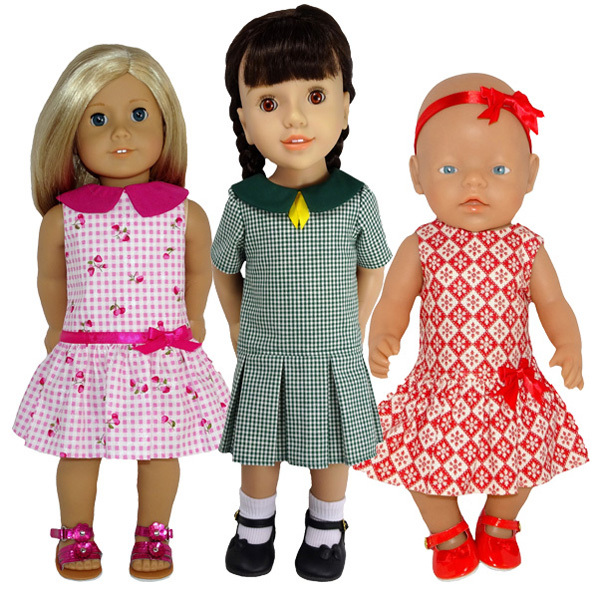 Using the collar, sleeves and pleats you can create a very smart school uniform or combine the dress without sleeves or collar and a gathered skirt for a lovely cool, yet stylish dress. 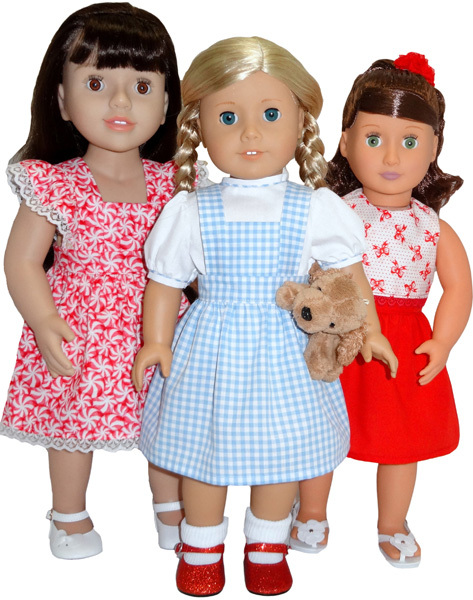 Looking for a super quick and easy dress pattern for your doll? Then this Strappy Dress pattern is the one for you! As a Special Bonus Rosie has included an Option to make a Top and explained how to get different looks by changing the placement of the elastic. You can make three different outfits with this pattern! Firstly, you can make the sweet Pinafore Dress with sleeves. Then you can make the pattern without sleeves and it becomes a pinafore or apron just like Dorothy wore in ‘The Wizard of Oz’. Then if you just want a skirt, you can do that too! This 50's Vintage Style Dress can be made with so many variations, Make it with or without sleeves, with or without a Peter Pan collar and there's also an option for the dress to have a long or short skirt. Includes a Free Petticoat Pattern! SPECIAL BONUS - Rosie shows you how to make 12 different outfits from this one pattern! 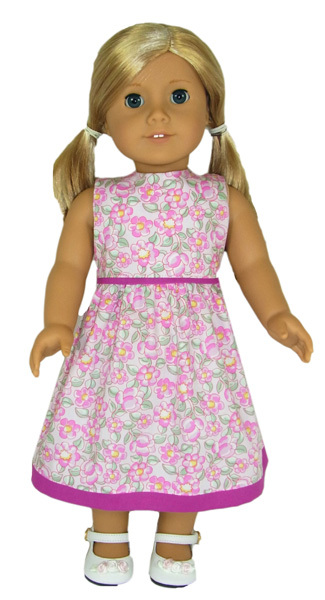 The contrasting trim on this American Girl Summer Dress turns a simple dress into a stylish dress.